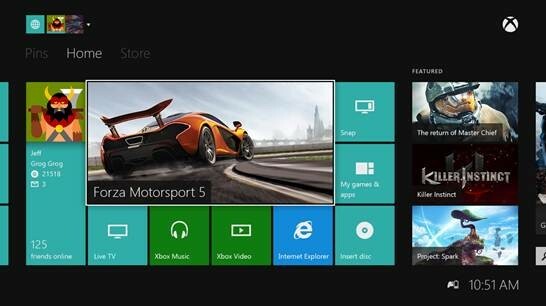 On February 11, the first update will be delivered to customers who sign into their Xbox One. It features many new improvements – including lots of behind-the-scenes updates for developers building apps and games for Xbox One, several new features we believe Xbox fans will love, stability and product updates to improve the customer experience, and continuous improvements to the quality of Kinect voice so commands become more fluid and responsive over time. While we won’t be going into all of the details of the product updates today, we will be sharing more information soon. On March 4, in advance of what is expected to be the biggest game launch of the year, we will be delivering another system update to prepare your Xbox One for “Titanfall.” This update will contain many new features and improvements, most significantly to our party and multiplayer systems. Available on March 11, “Titanfall” is a team-based online multiplayer game that showcases the power of Xbox Live, and we will be shipping a new party and multiplayer system that will help make “Titanfall” the must-have game for this generation.